Just a day later, the British press – e.g. The Sun and The Daily Mail – was very excited that the boss of the British Labour Party, Jeremy Corbyn, has collaborated with our dear beloved StB, too. In the mid 1980s, Corbyn has met a Slovak ŠtB officer who posed as a diplomat in the U.K. thrice. Incidentally, the same Ján Sarkocy 007 who probably met Jeremy Corbyn thrice has just revealed his memory about prime minister Babiš. Sarkocy claims that Babiš did definitely collaborate with ŠtB and he should apologize to everyone for having lied about this issue for a decade. Sarkocy was one of the officers of ŠtB whom Babiš didn't choose as a witness when he tried to claim that he had no willful contacts with ŠtB. Clearly, it seems that Babiš was cherry-picking the ŠtB officers. Now, when one of them confirms what seems to be self-evident according to the documents, Babiš claims that Sarkocy is a liar. Let's return to the British issue. Sarkocy asserts that Corbyn was hired to collaborate with ŠtB, the secret police. The collaboration was intentional, Sarkocy says, and Corbyn was even getting both information and financial compensation for this collaboration, exactly as a full-blown traitor should. (If he were getting it in CSK/CZK, as a true Marxist should, his assets grew 1.36-fold since mid 2015 relatively to the pound.) The hiring of Corbyn as a communist agent was done under the Russian protection and the recommendation to hire Corbyn was made by another current influential Labour Party's lawmaker. Comrade Corbyn's codename in StB was "COB". Corbyn has confirmed the meetings but he claims that he didn't know that the diplomat was an agent. Sarkocy disagrees with this claim: It was known to everybody that the Czechoslovak diplomats were generally agents at that time. 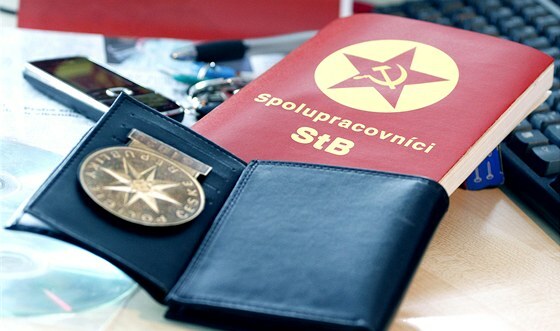 On top of that, Corbyn was giving lots of information to ŠtB that was also used in Moscow and graded. As a source of information, Moscow graded Corbyn with As. There was a supplementary source of information to make sure that Corbyn's reports were trustworthy. And they were correct, indeed. Sarkocy boasts that as a communist agent, thanks to Corbyn, he knew what Margaret Thatcher would have for breakfast, lunch, and dinner. ;-) Perhaps more importantly, Corbyn gave StB the information about the arrest of an East German. According to Sarkocy, the British intelligence service – the real James Bonds – have figured out that Corbyn had been hired by the Czechoslovak communist secret police and Sarkocy had to leave the U.K. some three years later. I don't have any extra proofs on top of the things in the media but I am rather persuaded and I would tend to bet that Corbyn was intentionally working for the communist secret police, indeed. I am less certain about it than in the case of Andrej Babiš, however. But Andrej Babiš, as Sarkocy says, was doing all the dirty things because, as a greedy spineless piece of šit, he wanted to personally benefit – which he did, a great deal. On the other hand, Corbyn probably did it because he was – and still is – a fanatical Bolshevik. Until he is executed for treason, the revelations won't impact Corbyn's political career because almost all his voters are Bolsheviks, too. If Corbyn couldn't figure out what was going on, he had to be an incredible idiot, and a very useful idiot, indeed. At the same time, StB was actively monitoring Donald Trump as well – who had a skillful Czech wife. Fortunately, at least Donald Trump may safely demonstrate that he stayed on the other side of the Iron Curtain than the StB's side! ;-) These stories fill me with a perverse form of pride – our communist secret police was among the most penetrating ones.